On April 21st, 2018, the new Gas Appliance Regulation, EU/2016/426 GAR, will take effect replacing the current Gas Appliance Directive, 2009/142/EC GAD. All appli­ances and fittings/controls using gaseous fuel must be certified to the new GAR if placed on the European Union market. Mertik Maxitrol was one of the first manufac­turers to have its entire range of gas products hold GAR certi­fi­cation. 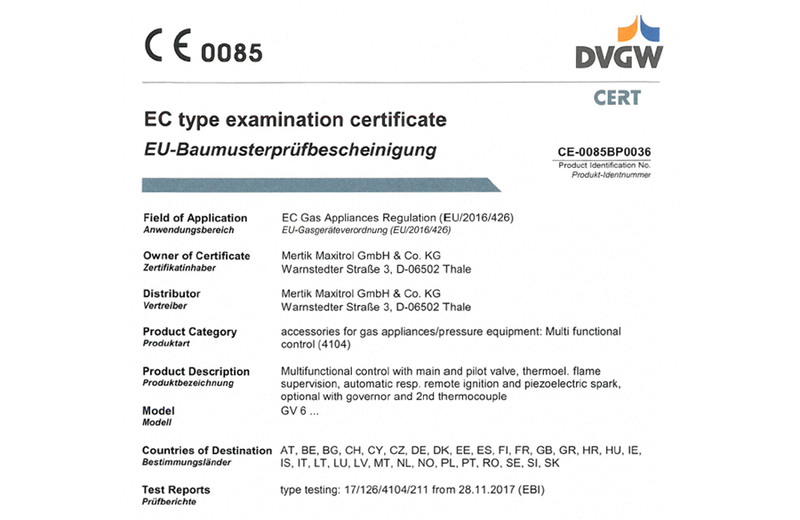 If you have appli­ances currently sold in the EU market, or ones to be sold there in the near future, that are not GAR certified, using a Mertik Maxitrol fitting or control will greatly speed up the recer­ti­fi­cation process. All Mertik Maxitrol controls are also certified for North America, Australia, and New Zealand.